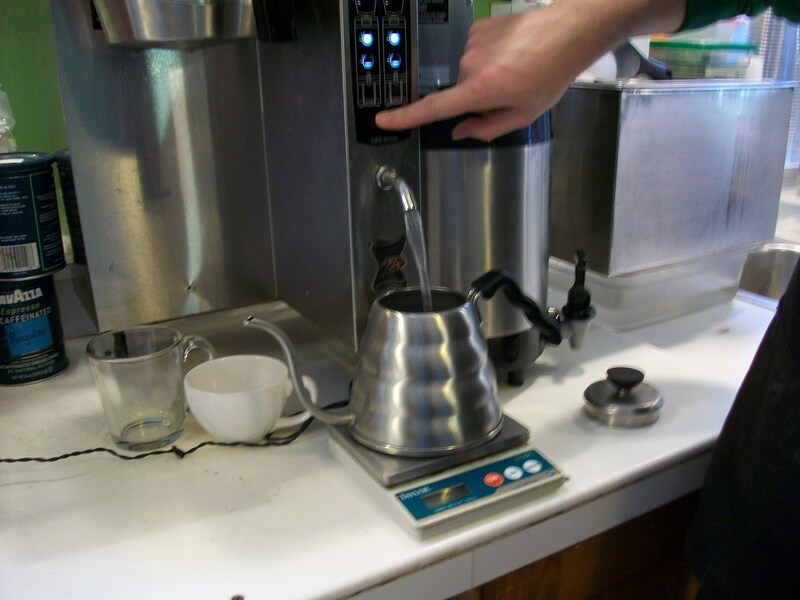 Alright, so you know how I posted that big thingy about single cup brewing methods? 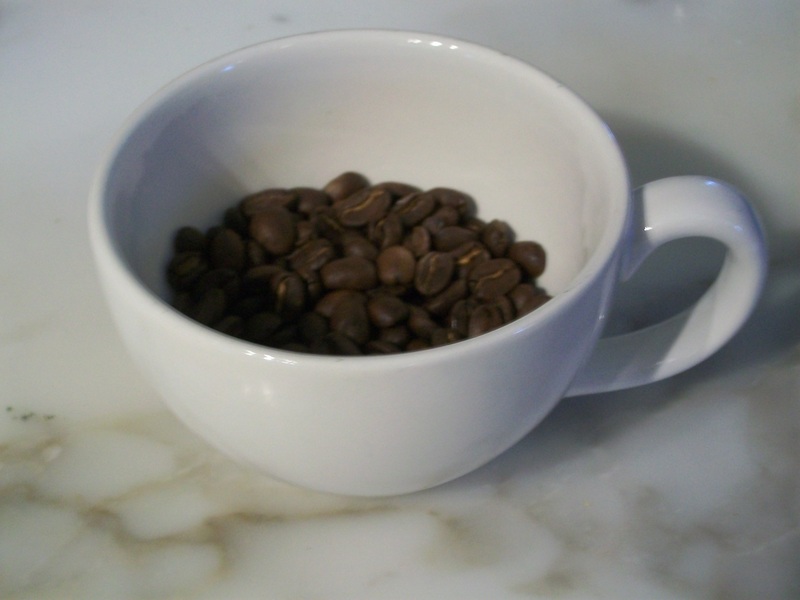 I figured I should follow up on it and show you a couple of ways that we provide you with a really fantastic single-cup experience. 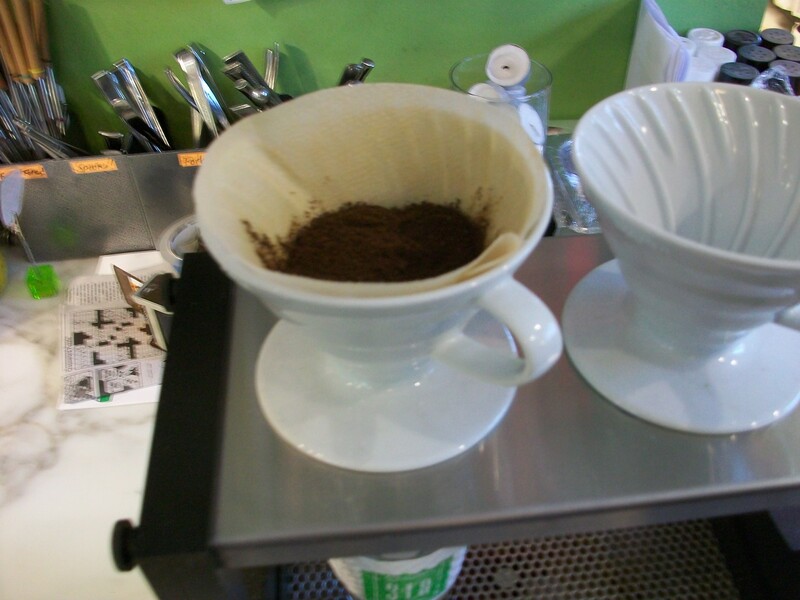 The pour over is a really great method of brewing coffee in to two small 8oz cups, or one 16oz serving. You don’t have to share, we’re not here to judge. 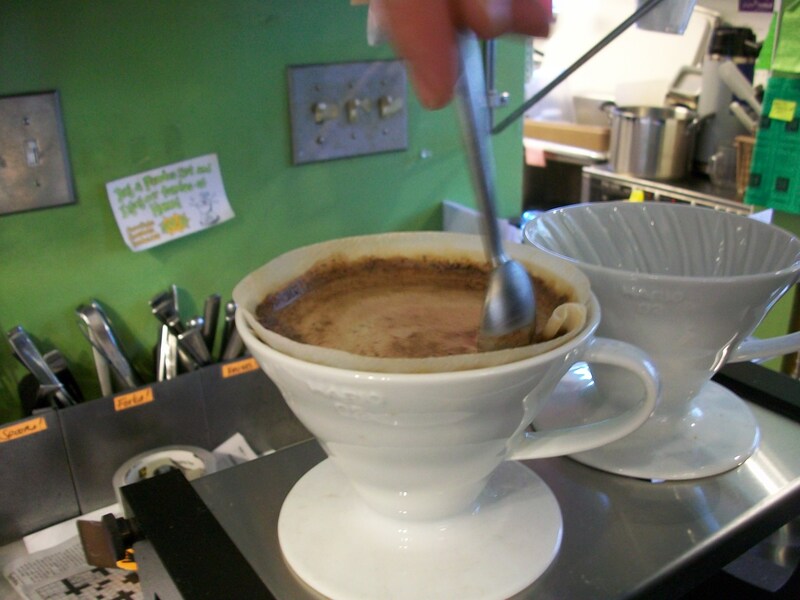 Next up, you’ll want to throw a filter into the pour over thing-a-ma-bob, and prime it with a bit of hot water. It doesn’t have to be boiling for this stage, but I usually make sure it’s hot to kinda pre-heat the cups. Always pre-heat things, trust me. Now, toss in those grinds!! 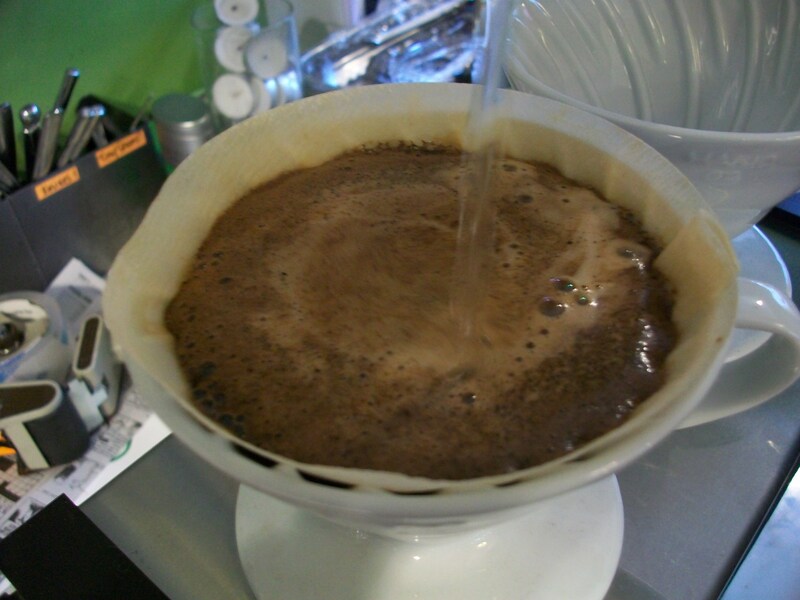 Try to keep ’em all close to the center of the filter, it’ll help you later in this process. Now, once you’ve got all of that jazz in order, it’s time to get the water heated up. 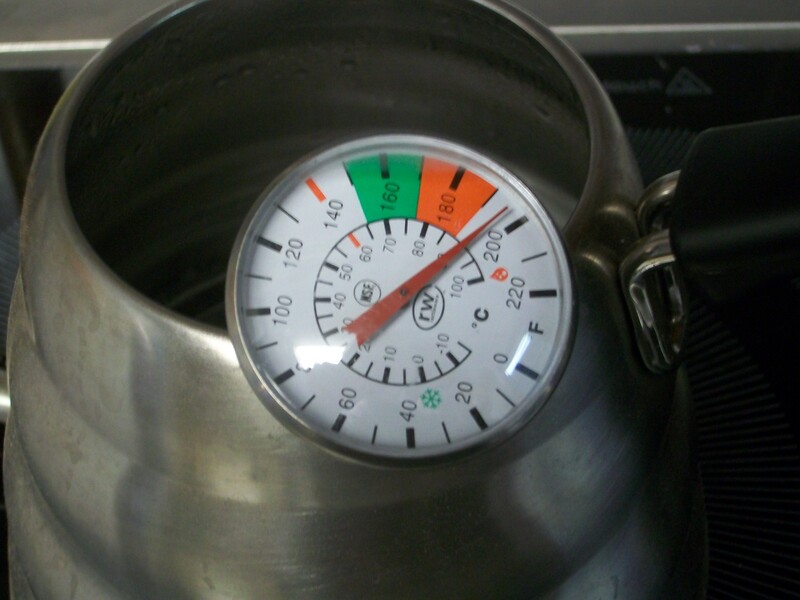 Now, in order to extract the perfect cup of coffee, you need to get your water at just the right temperature. 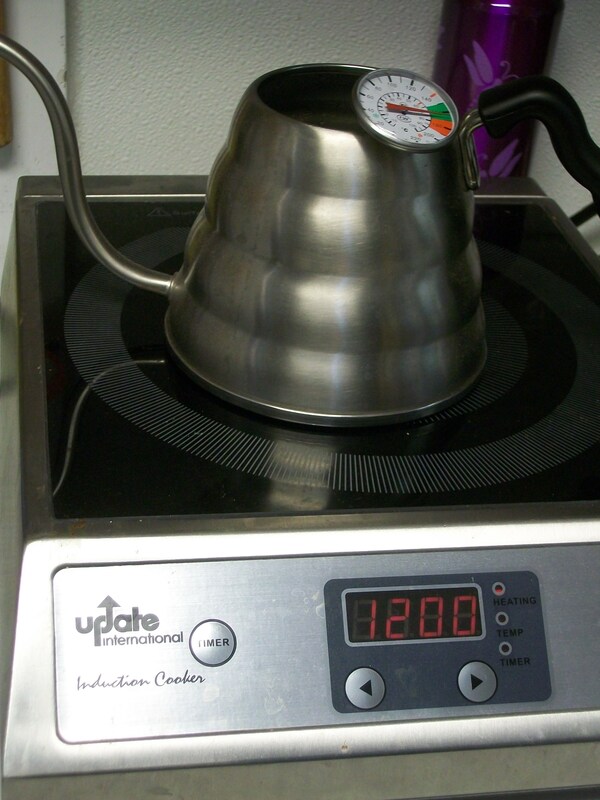 I use an induction burner, because I’m really impatient, but you can just throw a kettle on the burner, or heat it up in the microwave until it’s just about boiling. If you’re playing at home, it should be somewhere around 514Grams of water!! Now that we’re all set with the hot water and the primed filter filled with finely ground coffee grounds, we’re ready to start the show. Take your super-hot water and slowly begin to pour it into the grounds in a circular motion. Ok, now, when you’re pouring it in a circular motion, you’ll probably be thinking it should turn into a bit of a whirlpool, but that’s not what you want. First off, the water shouldn’t be flowing through the filter quickly enough for that effect, secondly, you’re not trying to rush the water through, you’re trying to evenly distribute the hot water evenly through the grounds. Don’t just keep dumping water in. You want a nice, steady flow of steamy water flowing through your grounds. The more even, the better. You’re aiming for perfection, not speed. 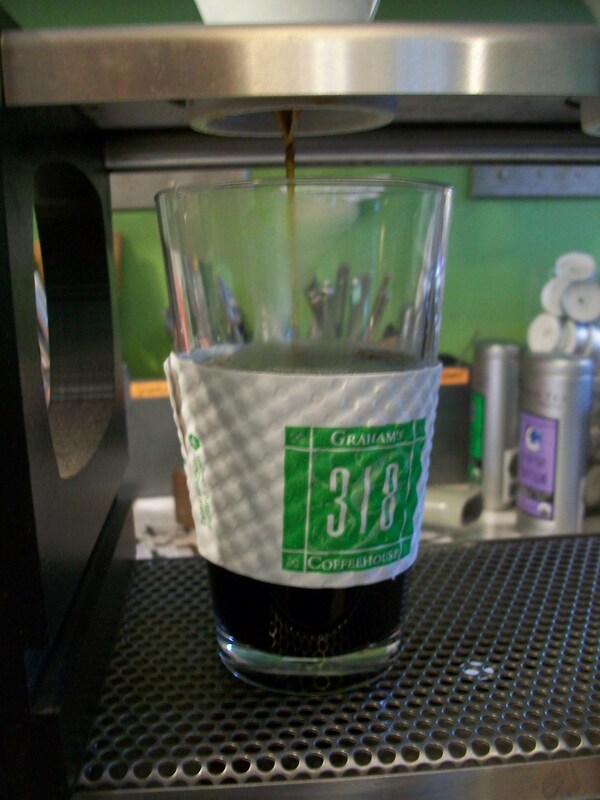 The wait is never too long if you’re trying to make a perfect cup of coffee. What are those bubbles, you ask? Simple answer, friends: GAS!! Bubbles of gas are going to escape from this swampy brew. That means you’re doing awesome. 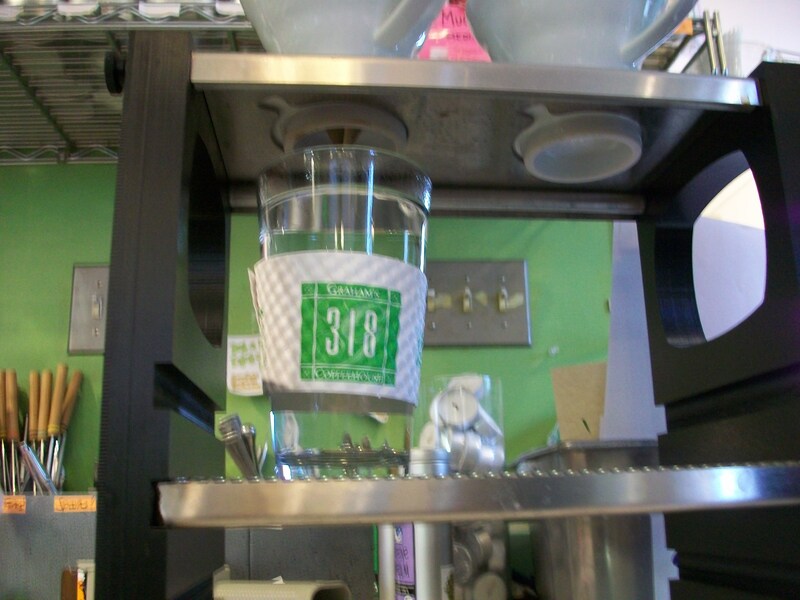 The release of gas is a telltale sign that all of the richness, flavors and oils are escaping into your cup. It should be a dark brown from the get-go. 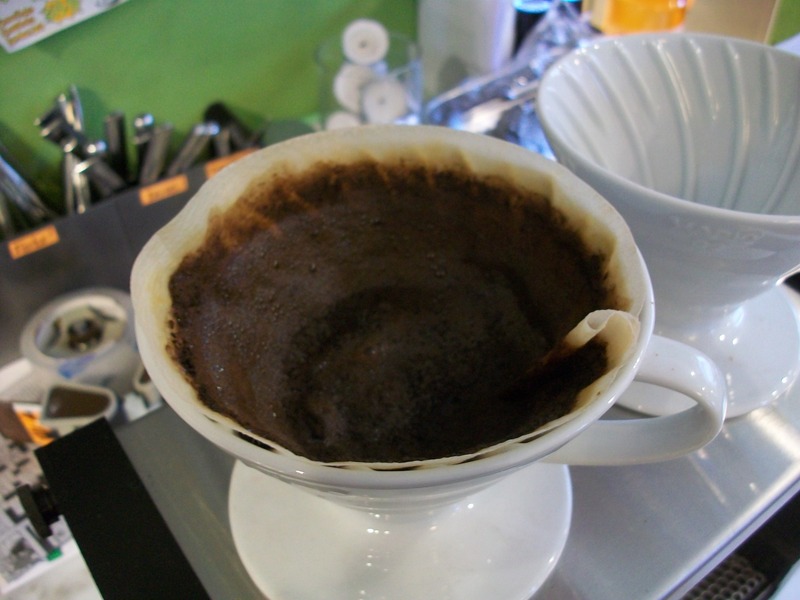 Ok, sure, the first couple of drips are going to be lighter, but once it’s all flowing evenly, you should be getting a dark, oily drip of coffee coming out. It’s most wise to have some sort of larger container under the drip. Even if you plan on sharing it, it’s best to let everything flow together so you get a smooth, evenly distributed batch of coffee! Once you’ve finished pouring out the water from your pitcher (or whatever you’re using to pour from), take a small spoon and lightly scrape it along the edges. This is just another way to make sure everything is distributed properly. Go ahead and pause to admire your handywork. 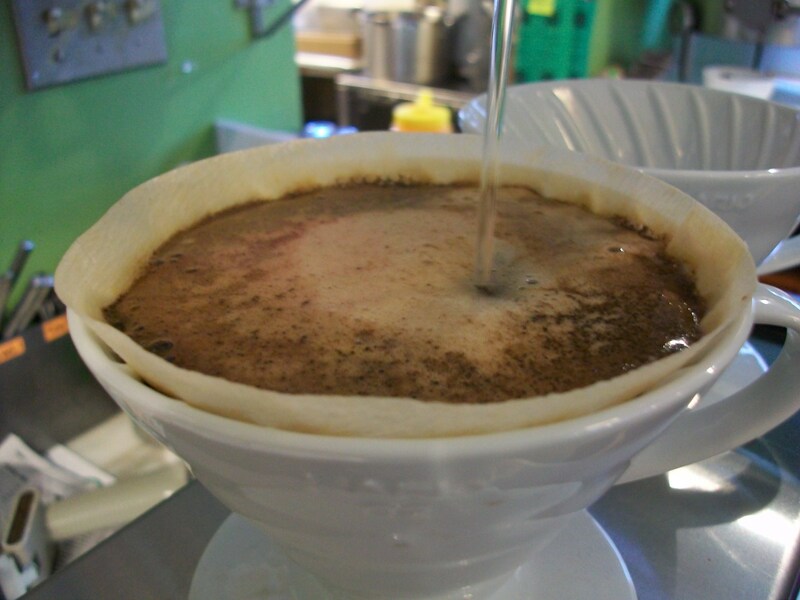 This is some really pretty looking drip coffee, isn’t it?! Black as night, smooth, buttery and oily in flavor and mouth-feel. 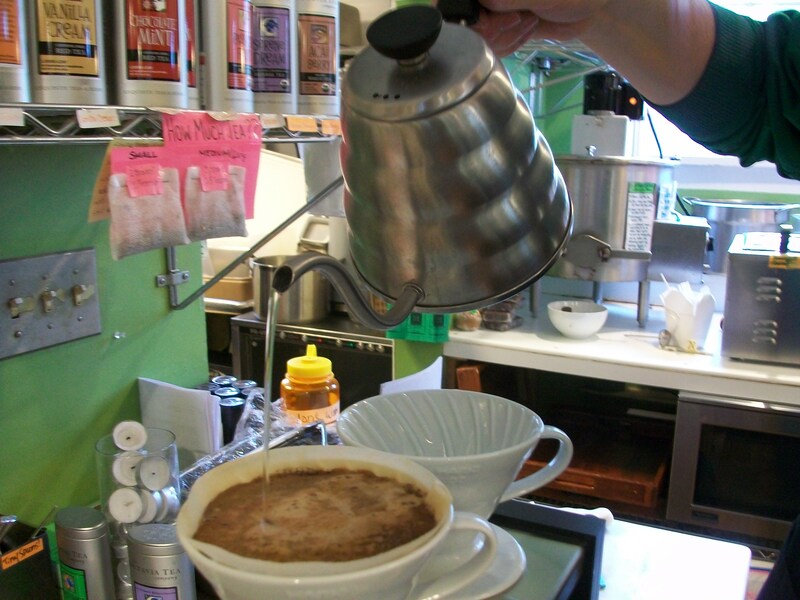 Nice work, friends, you’ve just made some fantastic pour-over coffee!! Add some milk! Bring a friend! Keep it to yourself and drink it alone in your secret lair! 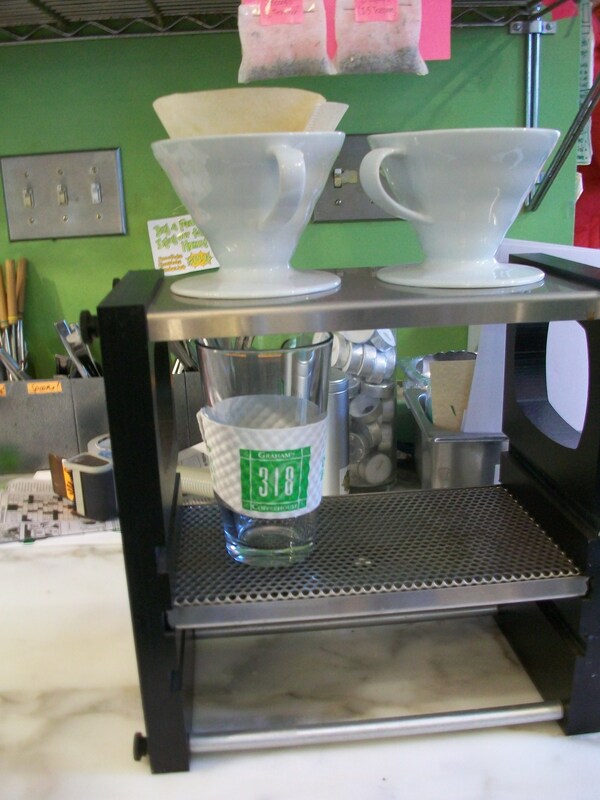 Either way, you’ve just hammered out one of the most delicate ways to brew coffee on your own. Now, pass it on!! I showed you a totally amazing skill, why not show a friend? Speaking of friends, whose handsome hands were doing all the brewing while I was snapping the pictures?! 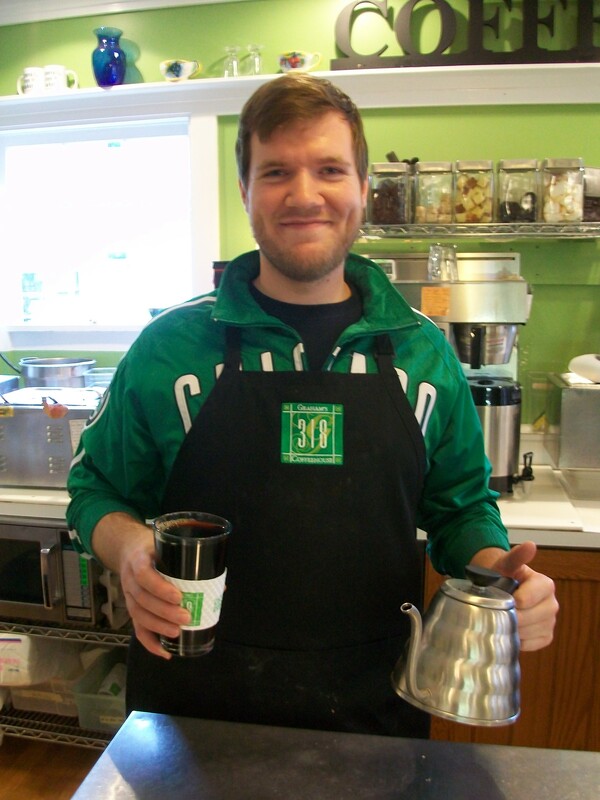 Why, it’s our handsome and talented barista, IAN!!! A big, BIG, thanks to Ian for doing all the heavy lifting while I stood by snapping pictures like a lazy slug. And an even bigger thanks to YOU!!! I love being able to show you guys cool stuff, and I love that you read it. 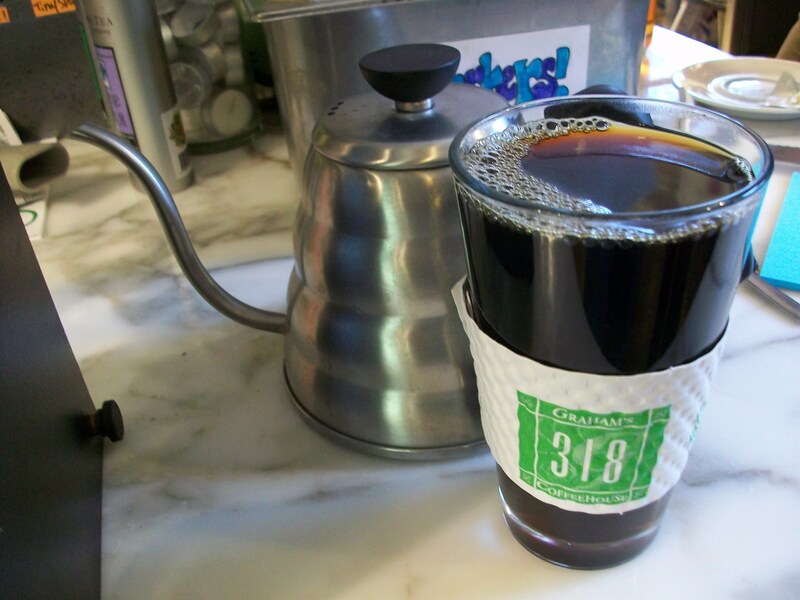 Next up, I’m gonna show you cool kids how to brew a French Press. 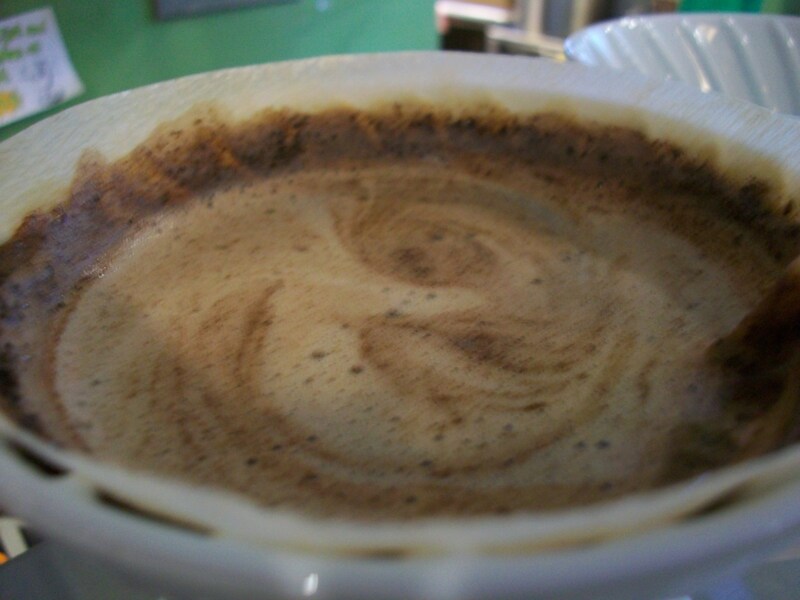 This is a quick, easy way to brew yourself a strong cup of coffee, and it looks really fancy, too, so your friends will talk about how awesome and savvy you are. I can’t wait to show you all! ~ by grahamschocolate on February 3, 2012.